Baby - This week baby is about the size of a peach (2.9 inches) and weighs 0.81 ounces. Baby's body is going to start growing faster and will start catching up proportionately to its head. During this week baby will also be able to move its little legs and arms. Me - This week I really feel like I am getting my appetite back and am starting to enjoy some of my favourite foods again. I have really missed eating chilli-con-carne (I love mine to have a good kick to it) and I am delighted that I can now enjoy it again! I have noticed that I am really itchy this week, it first started on my lower legs and honestly until it spread I had thought the itching was a shaving rash but after a day or two my arms, back and neck have started to itch. The itching is much worse at night. However I am starting to feel like I have a small bump now which is much earlier than I remember with D.
Baby - Now baby is more like the size of a lemon (3.4 inches) and weighs in at 1.5 ounces this week. Baby can now make facial expressions! They can can frown or squint or smile. Me - My clothes are all starting to feel tighter now which is actually pretty exciting! I am putting off buying maternity clothing just yet as I am hoping to only buy clothing for spring/ summer as those will get much more use and I own a good amount of loose clothing I can wear that will keep me warm through the end of winter. I did invest in a pair of maternity jeans and a pair of leggings but they are apparently too big and are rather uncomfortable so I am keeping those and will hopefully find them better to wear later on in the pregnancy. The other big change in my body that I have noticed is that none of my bras fit me anymore. I am finding that the ones I prefer are now feeling tight and they are digging into my skin around all of the seems so I will start investing in some maternity bras now. The itching I noticed last week is getting worse as time goes on. I find that I am starting to create little bumps on the areas where I am scratching. The bumps aren't making a rash or showing any signs of a reason why I am so itchy. I did make a doctor's appointment to speak about them with somebody. The itching is spreading onto my tummy and sometimes my face is really itchy now too. Baby - Baby is around the size of a navel orange (4 inches) nad is now weighing about 2.5 ounces. At the moment baby is starting to grow hair on their head and the fine hair covering the baby's whole body is there. This week the blood vessels are are forming under the skin which is very thin and see through. Me - I am growing very uncomfortable and night and have been struggling to sleep well this week. I got our my pregnancy pillow and have started to use it. I honestly feel much better and after a while of fidgeting around I will start to get comfortable and mostly stay asleep all night unless something happens and or a loud noise startles me. 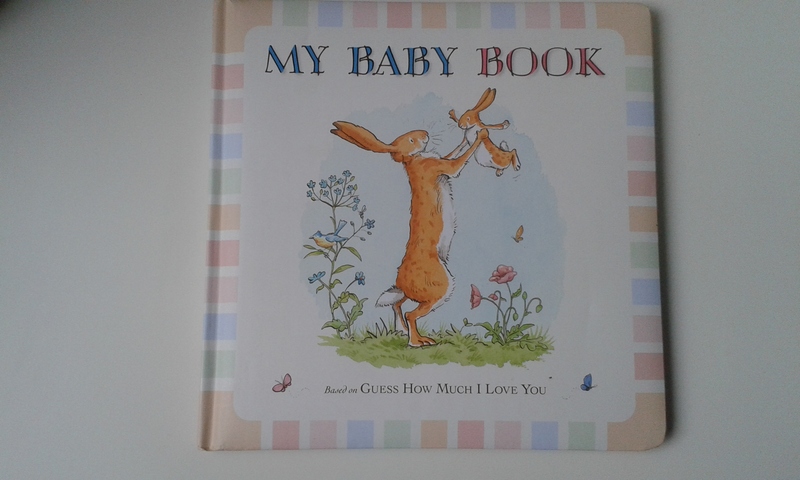 This week I bought baby this adorable baby book where I can keep some big important milestones we reach both during pregnancy and after baby is born! I love it and have started writing down a few things I don't want to forget. I loved doing this with D and I have his up stairs. On Thursday morning I had to get another emergency appointment with my doctors as I have started to experience the same pain in my bottom area. At the appointment the doctor confirmed that I have again got a perennial sinus infection but that it is only starting. I was prescribed another course of anti biotic, they are different from the previous ones. I am allowed to take paracetamol if I need it but am not allowed anything else without seeing a doctor to make sure baby isn't going to have any problems with it. Me - During this week I lose practically all of my appetite and spend hours upon hours sleeping. Any time I do spend awake in the first few days of the week is mostly in an uncomfortable angle on the sofa, I can't get into bed without being in a large amount of pain by Monday and almost all day is now spent on the sofa. The pain is getting much worse on a daily basis and I am waiting for the anti biotic to start working like they did last time. By Wednesday night I am in agony! I am unable to do anything and the paracetamol is no longer having any real effect on the pain. Late Wednesday night or the early hours of Thursday morning I am taken by ambulance as to A&E where I am admitted to the hospital for emergency surgery on Thursday afternoon. I remember feeling quite literally terrified and relieved all at once during the hours I spent in the hospital waiting for surgery. I didn't sleep until late in the morning and remember lying there thinking about what having surgery can do to a baby and what was going to happen in the next few weeks. I had already researched the various ways a perennial sinus infection is treated through surgery (under the advisement of my doctor) and I knew it was going to be a very long process. Around 8 - 9am the anetistist came and spoke to me about the risks to the baby and the risks to me for both a spinal block and being put under general anesthetic. 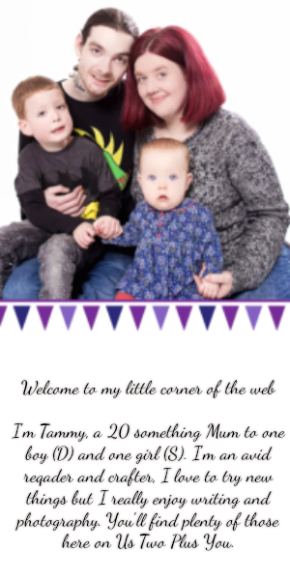 In most circumstances having a spinal block is much safer for both mum and baby, this really terrified me, I didn't want to be awake while they operated as I had already been told they knew it was bad but not just how bad it was. I didn't want to hear them all talking about it while I lay there completely immobile and aware of it all but mostly I was worried about the effects of putting a needle anywhere near my spine! I was however preparing myself to do just that after he left because it was better for baby that way. I was given relief only minutes later when he came and explained that actually doing a spinal block would be much to dangerous for me as my white blood cell count had just came back as being high. They would now be putting me under general anesthetic to do the operation. I would be receiving as little of it as possible for them to give me and it would be missing some of the elements that can be harmful to the baby. So it would essentially be a slightly modified general anestetic. I was taken to surgery at half one. After surgery I was sore but it was much better than it had been for days! I was limited to the bed for another few hours but at that point paracetamol was working wonders for my pain. On Thursday night I started to feel little nudges inside my pelvis area that I now know where actually the first movements I had felt from baby! I think that during the week of pain baby had started moving but as the movements are so small and don't feel strong the pain I was feeling was covering over them. Baby - This week baby is measuring up to be the size of an onion (5.1 inches) and weighs about 5.9 ounces. At the moment baby has just mastered how to do some simple reflexes such as sucking and blinking. During this week baby is also starting to grow fat under their skin. Me - On Friday afternoon I was discharged from the hospital after spending about 36 hours or so there. I was sent straight to the maternity unit where I they wanted to be sure that baby was doing okay. We ended up having to get a scan as they couldn't find the baby's heart beat with the doppler. We had to wait around 20 minutes for the scan. I think those could be some of my lifes longest minutes. Simon and I had both started growing quite worried by the time they did get the scan machine. 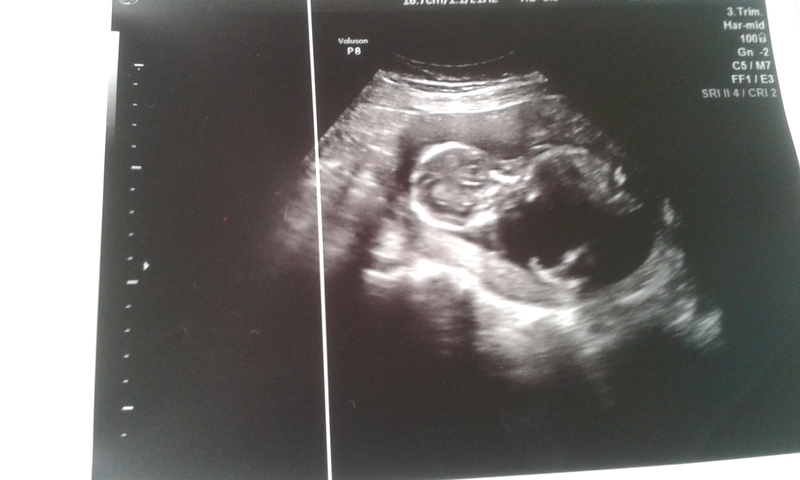 Baby was fine and had a strong heartbeat that we got to hear for the first time! Hearing baby's tiny little heart making so much noise was amazing and we got to share that moment this time! With D I was the only one to hear his heartbeat for the first few weeks as Simon couldn't go to the appointments. I am not feeling sick anymore and thankfully regained my appetite for food in general. In fact I have started to get a craving for chip shop curry, no other kind seems to be satisfying. I know this is pregnancy related as I don't actually like chip shop curry normally. I am however enjoying the indulgence and will eat it with almost anything! I have noticed during this week that my tummy is really getting into a bump shape now which is currently hidden under the baggiest clothes I own (for comfort at the moment). Baby is starting to move around in there this week, I have noticed that the movements have increased and are getting a little bit stronger now. I can now tell the difference between baby poking me with limbs and moving around. It really likes to use my insides as a pushing point to move itself. Baby - Baby is getting much bigger now and is about the same size as a sweet potato (5.6 inches) and currently weighs roughly 6.7 ounces. Those bones that started to form in week 16 are now hardening. The first bones to really develop is the inner ear bones and this means that baby might be able to hear my heart beating this week which is pretty amazing now that we have heard its heart beating. Me - This week I am starting to feel more cramping in my lower tummy area as my uterus is really expanding to keep up with baby and make sure there is enough room in there. I am also finding that I need to get up during the night. I am waking at around 5am every day to use the bathroom which isn't bad considering I am usually up around half 7 to 8 am most days. I am really starting to feel like I look pregnant now and am no longer in that stage where I just look like I'm a bit fatter. The baby is certainly getting more active inside and I they are moving around much more at night-time when I am usually sitting down to do things online or to try to relax a little after D has gone to bed. I am getting frustrated now with my healing process and am still spending 2-3 hours a day making the round trip to the doctors to get my dressing changed every day. This week I have also found out that I have staph infection. I don't actually have any signs that the infection has got inside my wound as staph is a type of bacteria which can simply live on the skin of adults without any infection getting below the skin or getting past the body's defenses. The nurses will be keeping an eye on me for the next week just to be sure. Today I am actually 20 weeks along in my pregnancy and will have my 20 week scan later. I am almost caught up in my updates and will post my 19 week bump update on Monday before I start posting all future bump updates on a Friday. This will mean I am able to give a full weeks account of what has been happening and how I have been feeling or big milestones that we reached. I am very excited to be able to share my pregnancy here and we might even find out if baby is a boy or girl today! (Provided baby doesn't hide from us.) Be sure to come back later and check if we know what we are having.